1.Book your flights and accommodation early. In order to get the cheapest prices on flights and hotel accommodation in Tarifa, it is best to book as early as possible. You should make sure that you compare quotes from multiple travel companies to make sure you are not paying over the odds for your vacation. 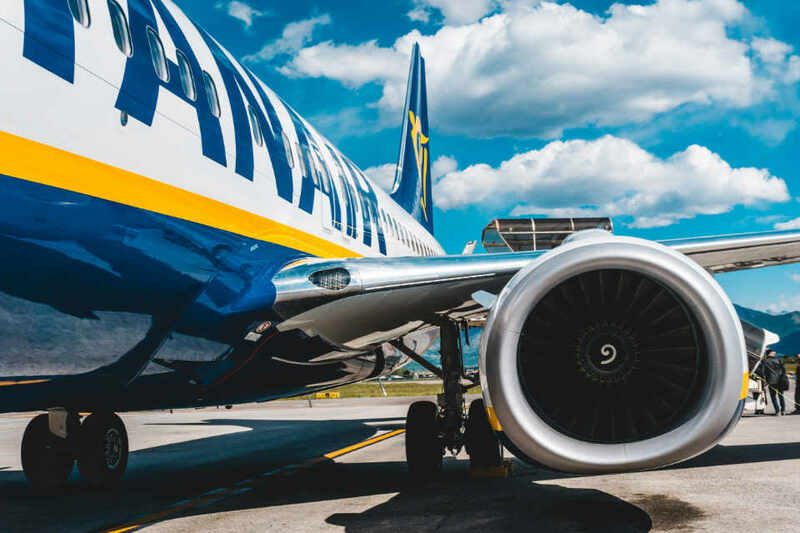 In addition, if you don’t mind flying during off-peak hours, you could save a small fortune on your flight ticket costs. 2. 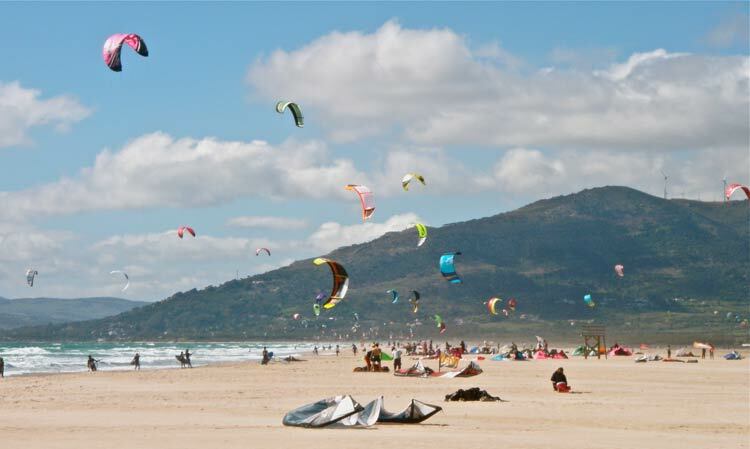 Rent all the kitesurfing equipment you need when you arrive in Tarifa. 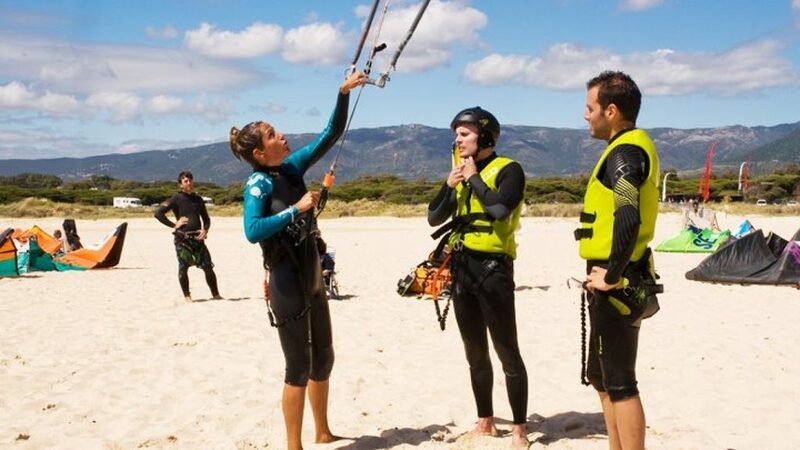 There are plenty of places to rent kitesurfing gear in Spain and prices are very cheap. So, there is no need for you to try and bring all of your own sports gear with you, which could result in some very expensive excess luggage costs at the airport. 3. Consider opting for a group session. Booking a place on group coaching sessions is a good way to save money and have a lot more fun. You get to meet lots of new people and because you are all sharing the cost of the hiring of the professional coach, it will cost you a lot less than a private individual coaching session. Learning in a group can also provide you with a lot of motivation and encouragement, so you might find your skills improving at a faster rate. 4. Don’t completely rule out individual coaching sessions. In the last tip we recommended group sessions, but if you really want was to reach a professional level in the sport, you are going to need to pay for some private individual tutoring. In Tarifa, there are lots of excellent private expert coach that have very reasonable hourly rates. 5. Exercise in advance. In order to get the most out of your Tarifa kitesurfing vacation, you need to arrive in Spain in good physical shape, especially if you only have a week to enjoy your time in the sea. Therefore, it would be a good idea to start an intensive workout regime several weeks before your vacation. Kitesurfing uses just about every muscle in the human body, so make sure you do a range of different workouts at the gym. 6. Take lots of photographs and videos. A two-week kitesurfing vacation can pass very quickly since you be having so much fun, so it’s a good idea to take some photos and videos to help you remember it. Having documented footage of your vacation away can also help with vacation blues when you get back home. 7. Stay for as long as you can afford. Many people think that a one-week kitesurfing vacation will be long enough, but if you can afford it, opt for a two-week trip if possible. That way, you can spend the first week in intensive training mode learning essential techniques and the second week just enjoying the sport and the unique location. Hopefully, the seven tips featured above have provided you with some useful advice for your next kitesurfing trip. 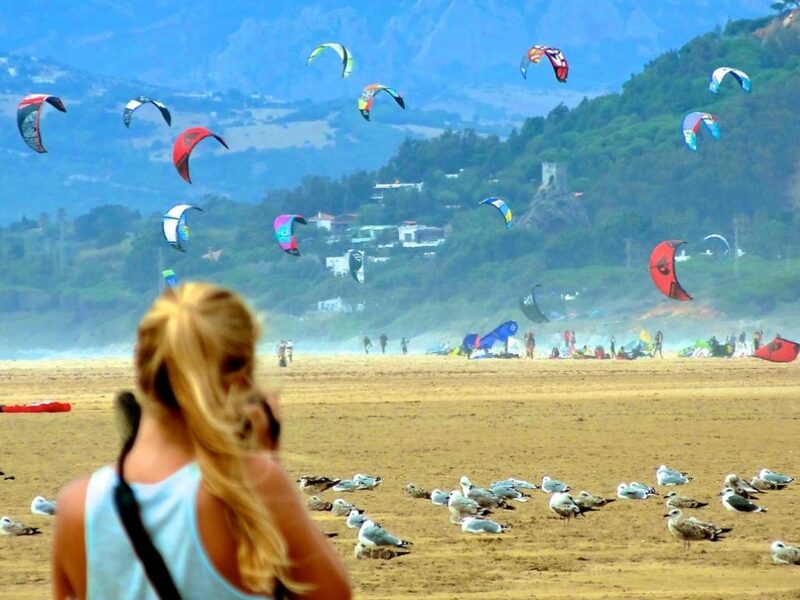 Keep in mind that Tarifa in Spain is just one of the hundreds of awesome international locations for kite surfing. So, make sure you also plan to visit as many the global kitesurfing destinations as you can to get the most out of the sport. A quick online search with your favorite internet search engine will help you to easily find the top 12 most highly rated global destinations by kite surf enthusiasts. An excellent video tutorial demonstrating a number of techniques to quickly and safely get your kite back under control from a dreaded Death Loop. 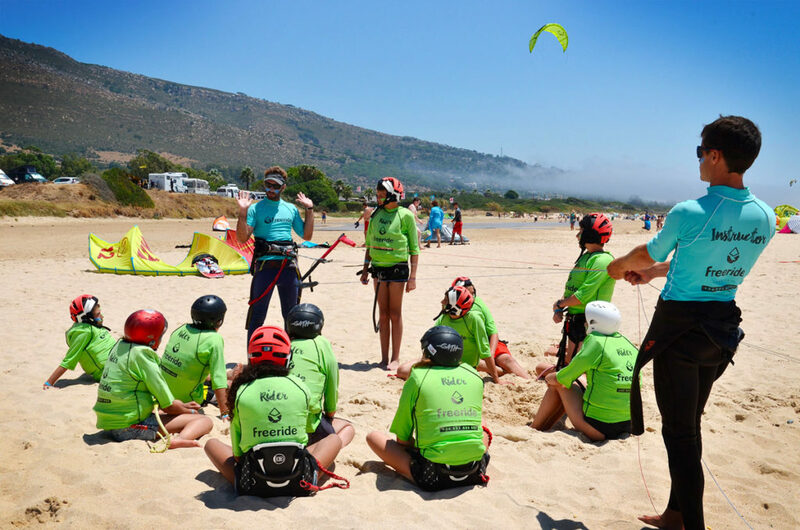 Cabrinha Kitesurfing: A Year To Remember! The Most Gangsta Kiteboarding Movie by Pro Kite Brasil! 15 Minutes of EPIC Kiteboarding Tricks to inspire and motivate you to keep pushing the limits! Watch the kiteboarding video Inspire on the ultimate online kitesurfing magazine, resource and community platform. A step by step Unhooked Kiteboarding tutorial that will teach you how to do an unhooked raley and back roll, including illustrative images and videos.